With the opioid epidemic in the limelight this week, I think it's important for all of us to be passionate about one of the few things that we can all seem to politically agree on: prescription drug use is a problem and we need steps to be taken to relieve it. I'm sure we can disagree on semantics and the way we go about the "fix," but at the end of the day - let's work on it, together. I'll admit, I'm no expert here when it comes to the crisis. Googling "what are opioids" is something I may or may not have done a couple of times this week before getting some new understanding on the subject. I'm also not aware of anyone I know who is suffering...but, I guess that's kind of the point of this crisis in the first place. When a habit can be fueled by what is in your medicine cabinet, the suffering can be completely secretive and "functional" for quite some time. While some of the statistics can be overwhelming, let's not lose hope. A tangible way we can all make a positive impact THIS WEEKEND is by cleaning out our homes and safely ridding ourselves and our families of unused and expired prescription drugs and over-the-counter medications. For the past seven years, the United States Drug Enforcement Administration has hosted "Take Back Day" across the country to help citizens safely and routinely dispose of these once-medically-necessary (but potentially harmful) substances. Saturday, Oct. 28 is one of those days! Use the DEA's Take Back Day website to find a collection location near your home. Many of your local public school campuses and police department stations serve as dropoff locations on these designated days. Collections happen 10 a.m. to 2 p.m.
During our packing and moving process this summer, I realized we have several prescription bottles of medication leftover from Coach's shoulder surgery. They haven't been opened since their use in the days after surgery and they are now expired, along with being medically unnecessary. I'll be dropping these bottles off at the closest Take Back Day dropoff location to us. Scratch out your name/identifiable info from prescription bottles before disposal. Do not flush medications down the sink or toilet. Never share prescription drugs with anyone. 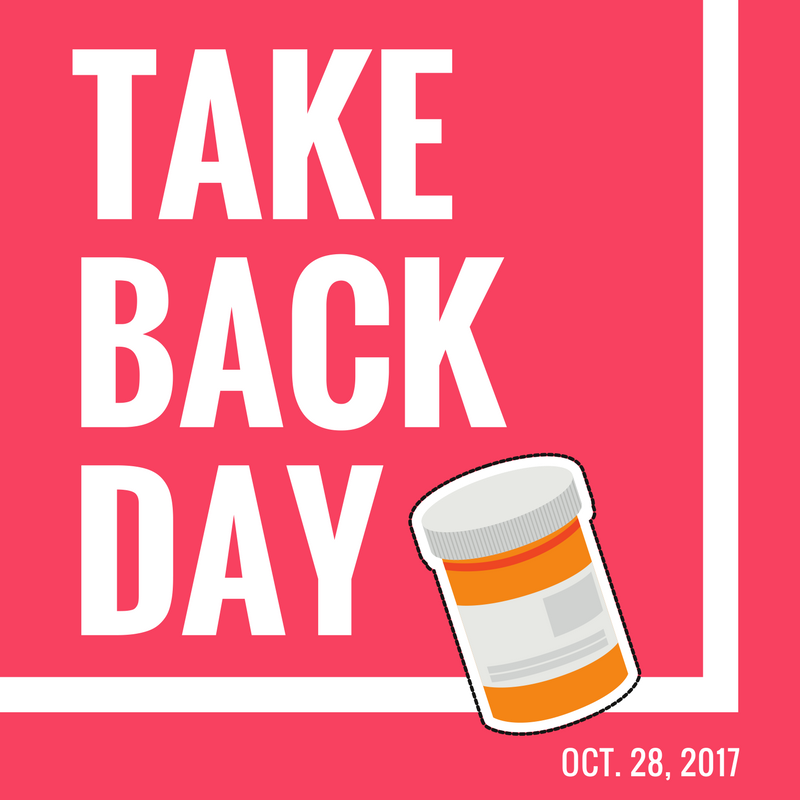 Visit TakeBackDay.DEA.gov for additional safety and disposal information. Help protect loved ones in your life by safely disposing of the prescription drugs in your home and encourage others to do the same.